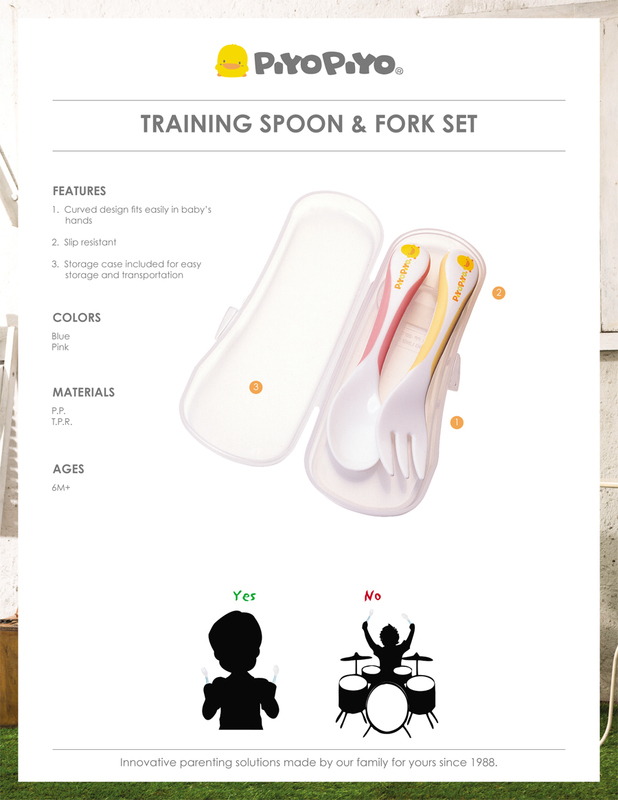 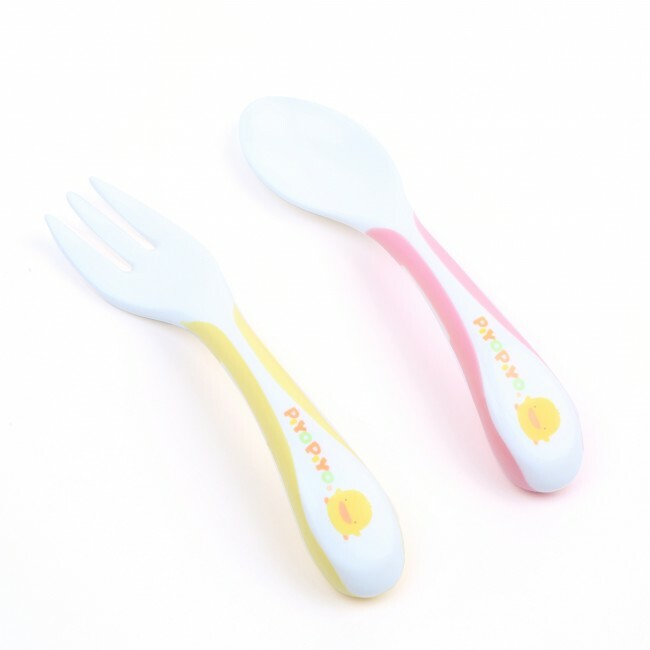 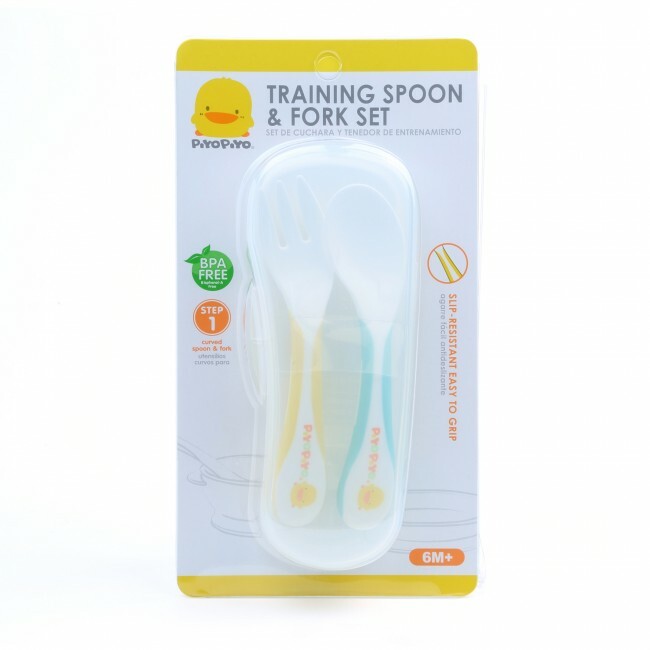 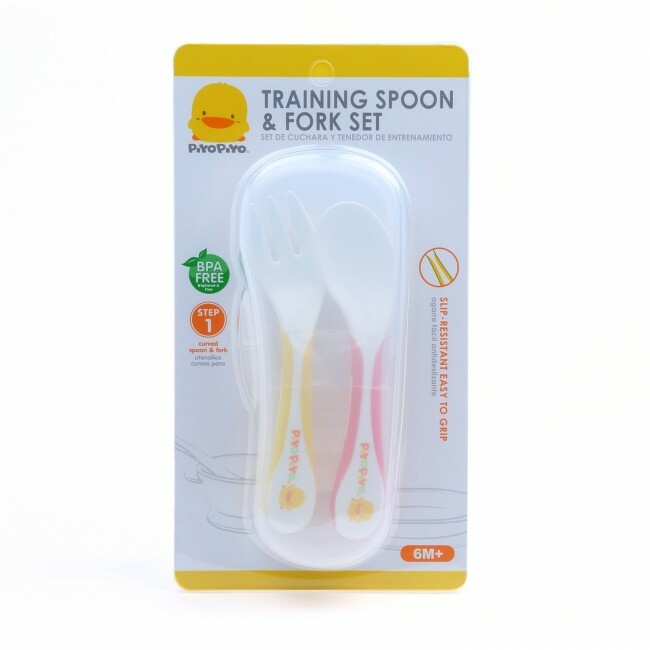 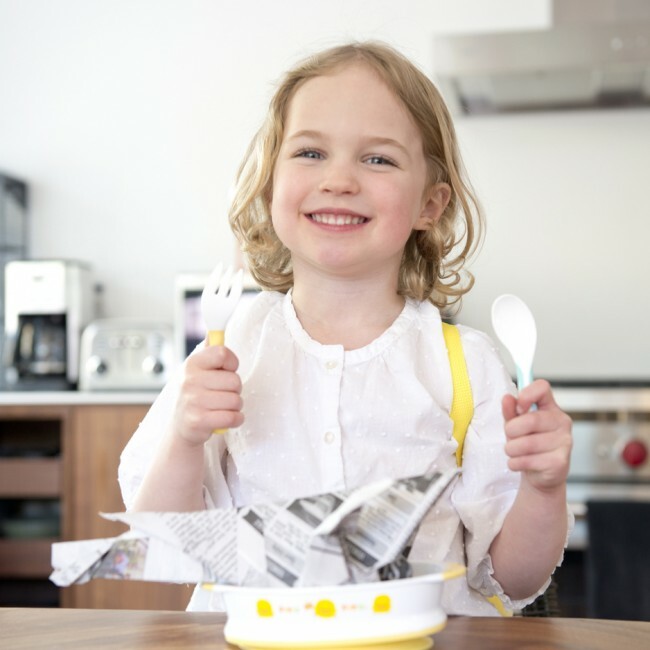 Teach your baby how to self-feed with this Training Tableware 2 Piece Fork and Spoon Set. 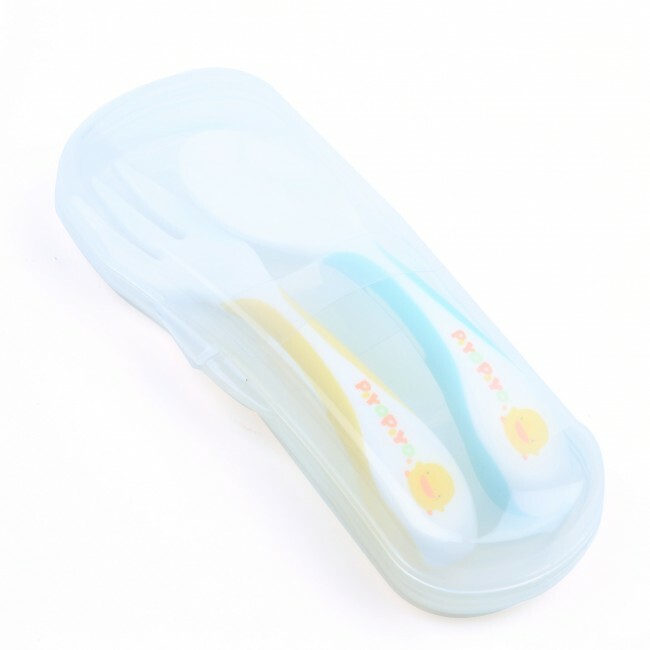 The soft material is gentle on baby's new teeth and gums. The slip-proof grips and angled design make it easy to direct food to your baby's mouth. 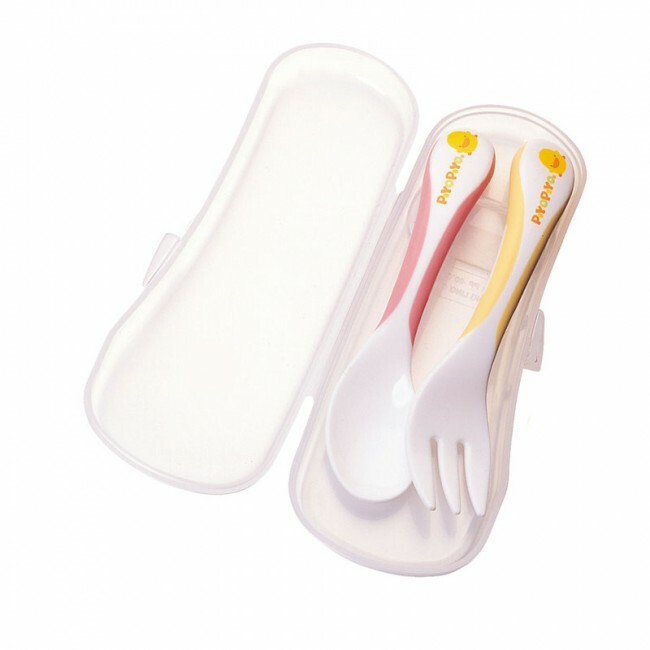 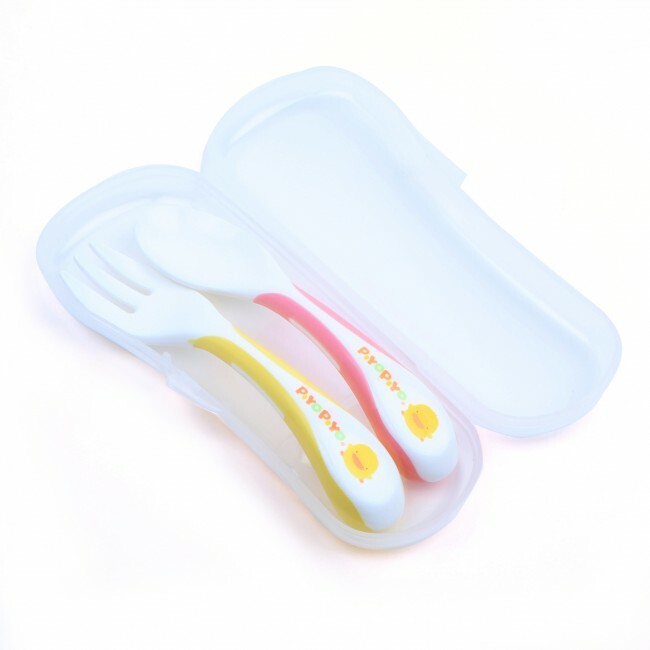 The hygienic case protects the utensils from dirt when not in use; great for the diaper bag!